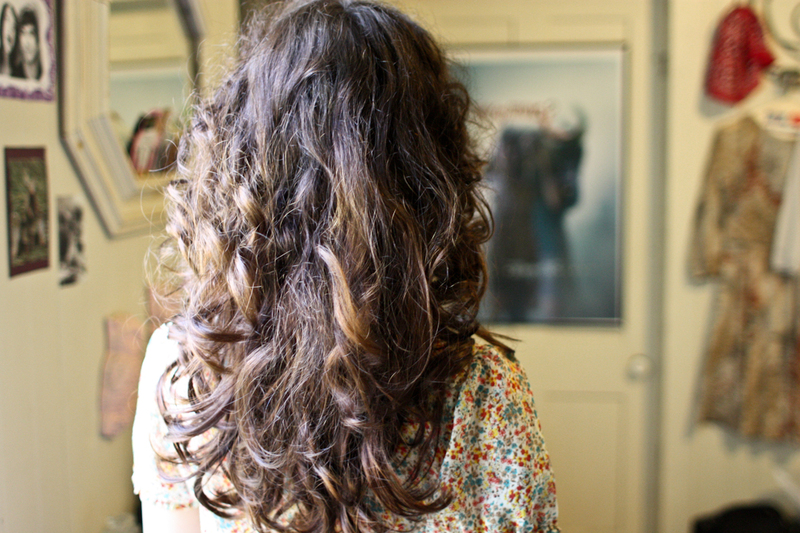 the velvet bird: Easy curls! I stumbled across this idea for curling your hair awhile ago on pinterest I believe (which if you aren't on there yet,warning: it is addictive). I am by no means a hair expert in any shape or form, trust me. But this tutorial was insanely easy to follow and also really quick, and uses no heat so its better for your hair. Here is the original tutorial, it is explained way better than I could ever do (and the girl is extremely cute!). Another added bonus is that you can do this before you sleep OR in the morning because, unlike rag curls, it looks like a real hairstyle while your hair is being curled. I still have to find the right product to put in my hair first to keep my hair from being so frizzy (but I just have crazy lady hair naturally), I definitely don't need product for staying power. These curls stay until I wash my hair, even if its like two days! Cute!! 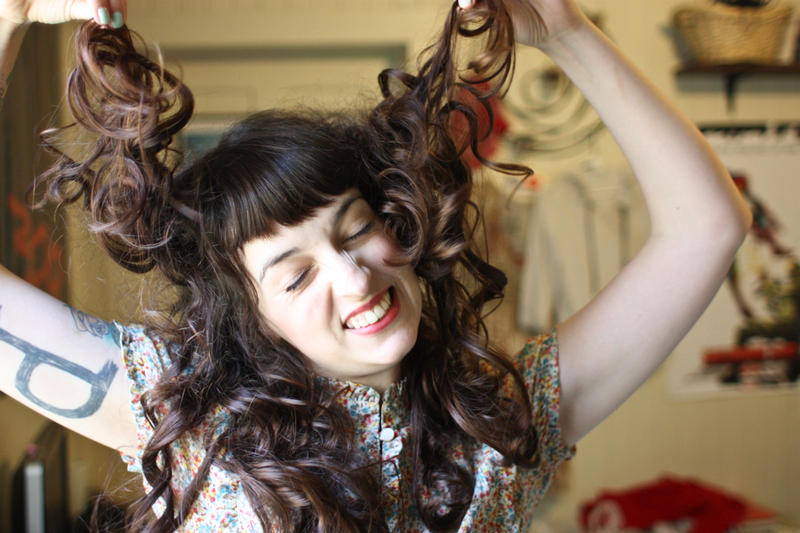 I usually twist my hair into pigtails to set the curls, but can't really go anywhere like that... thanks for sharing! Your curls look great, too. AMAZING. This may actually work on my hair. I love it! :D thank you for sharing!! 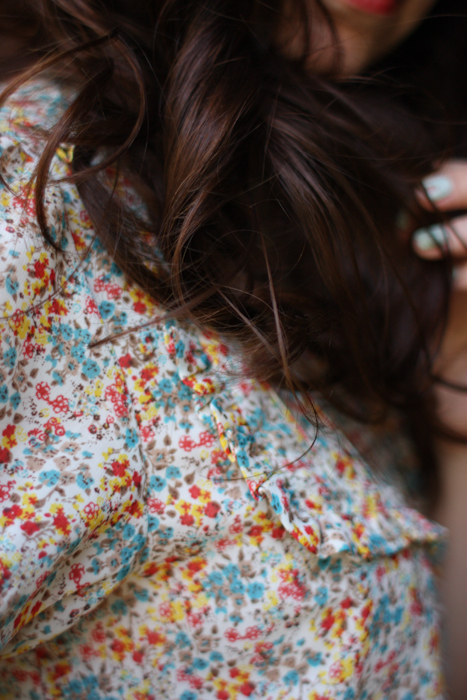 Wonderful, my hair is quite long now so I'll try it out :) I also like your nail polish color! I like this, super simple. That's amazing! I'll have to try it out. I love it!! cannot wait to try it out :) thanks so much for sharing! 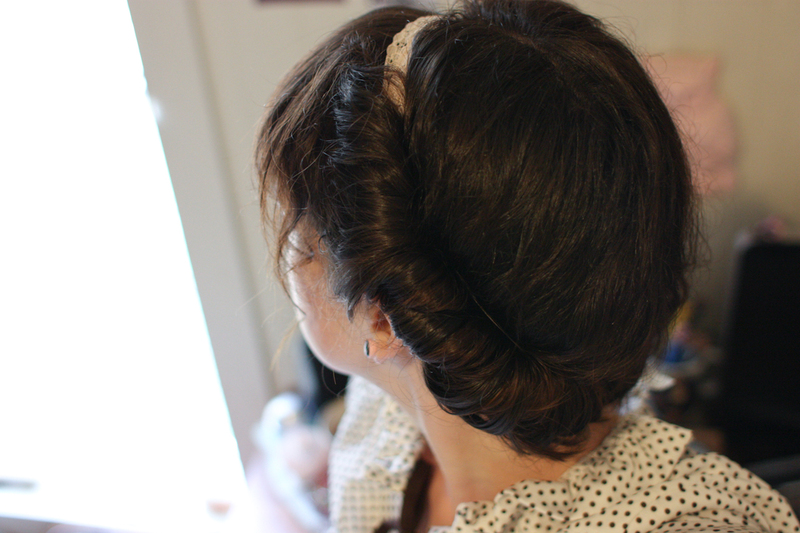 i don't know why this way of curling hasn't come to my attention before, its so simple and works as an updo while you wait ~ perfect! thanks for sharing. Ohhhh, I love love love that tutorial! I've still been meaning to try it, though. You and your hair look fantastic! OMG, I just tried this over the weekend, and it's so amazing! Thanks Vanessa, I'd never have head about it if you hadn't of posted it! And that girl is so darling in the video! looks very nice. My hair is really wavy and doesn't curl well at all other than the little ends slightly (where my wave stops and goes straight). This is really pretty though!! Oh. My. God. 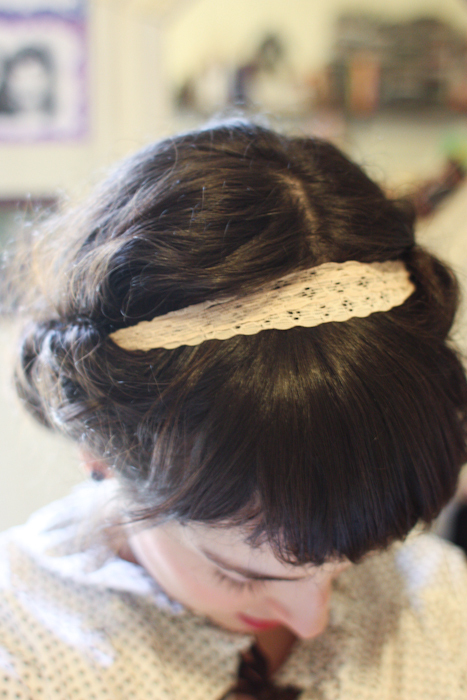 I am going right out and buying one of those giant elastic headbands and doing this IMMEDIATELY! The only downside to rag curls for me is basically having to be housebound all day when I do them, or tying a scarf over my bulky head to go out and get pizza/pick up boyfriend, etc. PROBLEM SOLVED! It looks like a legit hairstyle and keeps hair up all day? SUMMER HAIR SOLUTION! This is so pretty! I love this. I'm so glad you shared this! I know, it's just hair, but seriously I can not find an easy way to curl my hair without spending hours trying to get the curlers or rags set the right way. haha! I think I'm hair challenged, but I'm totally going to try this. Your hair is awesome! What fun pictures! I do this sometimes with my hair! Thanks for sharing. I will have to try this soon. It's always great to find new ways to style your hair with out using heating tools. This post has changed my (hair's) life! I have very straight hair that doesn't hold curl from heat well...but for the last week I have had luscious curls everyday...thanks to you! I really hope it works on my hair (long long straight boring hair) because it looks like no method will work on me ! my hair ends up just half curly and messy. This is beautiful on you !